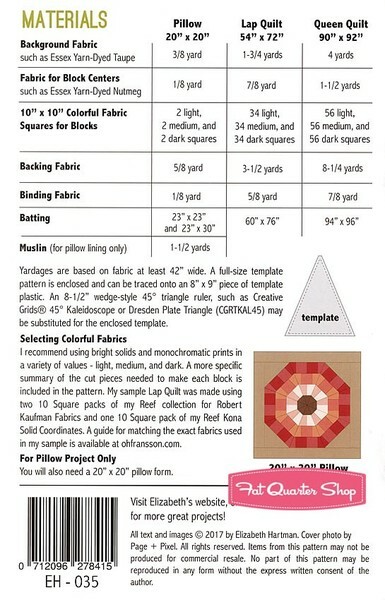 Standard 5.5" x 8.5" booklet pattern including multiple quilt sizes and a pillow option. The pattern features my new Reef fabric collection for Robert Kaufman and Kona coordinates and uses 10" precut or scrap squares. 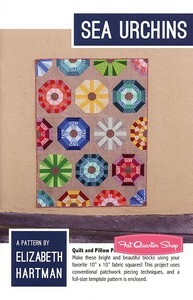 It includes a template pattern, but can also be made using an 8-1/2" - 45 degree triangle ruler.